Run Faster | Improve Speed and Endurance uses ClickBank to manage transactions and affiliate processing--it's been the trusted solution for affiliates since 1998 and used by over 100,000 active affiliate marketers. The process is simple and signing up with ClickBank is free. Generate the HOPLINK that will link to Run Faster | Improve Speed and Endurance and track sales to your ClickBank account. Earn commissions from all qualified sales that come from your links. ClickBank will mail your commission checks, or you can sign up for direct deposit. The front end cost is $20AUD and I will pay all affiliates 50% commission on sales to their client list. Be assured that I will not provide multiple payment options for purchases, and use only Clickbank payment facilities, so that all your sales can be tracked accurately and commissions paid. This information product would benefit any runner who is interested in running faster, longer, more efficiently, and with less risk of injury. In my experience, this is every runner, and would suit the beginner, intermediate and advanced. Why would your clients want to buy this product? 1. The info presented is all evidence based. This means it is based on a thorough review of the scientific research relating to running performance and injury prevention. This also means that the content is accurate and well tested. It works … your clients will see results in 6-8 weeks if they follow all the guidelines. 2. All runners experience injuries and frustration at some point. Research shows that 94% of all runners will experience a running related injury at some time in their running career, which will stop them running for a period of time or at least slow them down. Most runners experience a great deal of frustration, fear and even anxiety around this, so minimising injury risk is paramount, and will lead to happier, more confident and more satisfied runners. 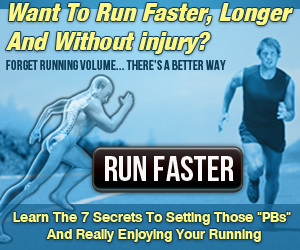 The information in this ebook will reduce their risk of injury because it is research based. 3. Many runners are essentially competitive by nature, and have a desire to improve themselves for self satisfaction, “bragging rights” among peers/friends/colleagues or even to prove a point(to themselves or others). The joy, euphoria and fulfillment that come with winning a race or running a PB are key emotions that many runners desire to experience, and are emotions that this product will satisfy. The science behind running biomechanics… what factors that will really make a difference to your running. Why strength training for runners is more important than you think. What specific muscles are most important in forward propulsion of the human body. How to test yourself for weaknesses in these specific muscles. How to develop your own specific strength program tailored to your own musculoskeletal system. The importance of Mass Specific Force(MSF) and how this concept will transform your strength training. How to gain strength without mass to improve your power to weight ratio. The principles of Plyometric training, and how this can boost your running performance. We use Clickbank to manage our affiliate program. You will need a clickbank account and you'll need your account name which becomes YOURID. To get a copy of the banner you want, right click and "Save As..." and then use the banner link embed code below. 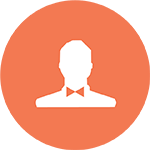 You will need to change YOURID for your own clickbank account name. This video lays the foundation for improved running by discussing the important elements of good form, with demonstrations of key errors and how to address these. Copy & paste the code below to embed this video in your website. 2. The Little Known Truth about Running Faster. This video introduces the science behind running faster with a simple experiment that your clients can try. Copy & paste the code below to embed this video in your website. The information contained in this eBook will help your clients improve their running without spending hours to increase their running volume. This will potentially save them time and reduce their risk of injury from over-training. This may appeal to those who are time poor but still want to run faster and better. Many runners fear injury. The exercises and information in this ebook will reduce their risk of injury, and help them increase awareness of weaknesses in their body. This in turn will give them greater strength and confidence with their body’s response to running. Use the concept of “Mass specific Force(MSF)” to trigger interest in running performance. Research shows that the force applied to the ground is one of the most important determinants of speed, and if runners can increase this force without an increase in body weight, they will improve their MSF and increase their speed. 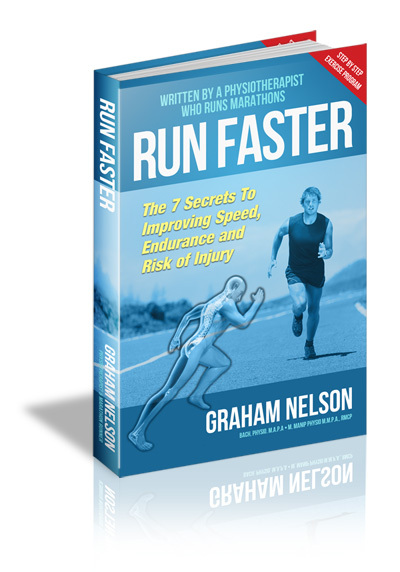 This ebook shows how a runner can increase their MSF with specific training techniques. Introduce the concept of “Plyometric training” for improved running performance. These are specific exercises to improve speed, power and running efficiency and are research proven to work. This ebook discusses the science behind why these exercises are so effective and details a graded program. These suggestions can be used in email marketing to your client list, ie a series of emails to foster interest in the topic and drive website traffic via your hoplink to increase your sales commission.